The Next James Bond - Get your random questions here! Following is a list of actors who have been rumored to be in the running to be the next James Bond. 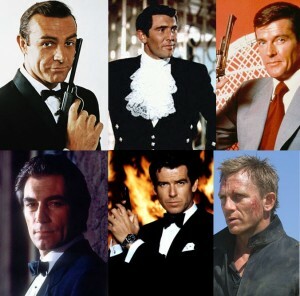 From among the names on this list, who would you choose to play the role of Bond? Much as I wanted to say Hiddleston, I'm not sure he quite has it. He's handsome and suave, but maybe just a little too goofy. I'd go for Idris Elba, but why not a woman? I'd love to see Rupert Friend, but I think Fassbender would fit the part quite well. This page was loaded Apr 26th 2019, 2:18 am GMT.